Being met with police scrutiny is understandably one of the most nerve-racking and confusing situations someone can find themselves in. If you, for whatever reason, end up facing police charges then it’s an incredibly scary experience with a lot at stake. 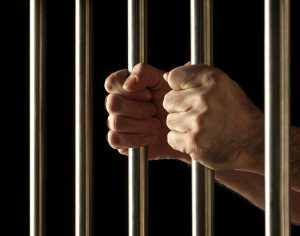 Being found guilty of an offence can have drastic consequences for your life in terms of your ability to find future employment and travel internationally, not to mention the obvious risk of losing your freedom in the form of a prison sentence or incurring a heavy fine. In order to give you the best chance of protecting your personal liberty or at best lessen the severity of potential punishments, you need to engage a professional lawyer. If you live in metropolitan New South Wales, then the obvious first step is to begin looking for professional criminal lawyers in Parramatta that can help you navigate the immense legal complexities you are facing. However, finding the best criminal lawyers in Parramatta is much easier said than done as there are many competition firms out there which vary in terms of experience, expertise and work style. If you are inexperienced with engaging legal professionals, this process of narrowing down a suitable choice can seem extremely daunting when couples with the stress you are likely already under. Luckily, this guide will help you to identify effective criminal lawyers in Parramatta that will help give you the best chance of a favourable outcome. Let’s take a look at some general advice you can use to find the right professional to assist you and act as your ally during this difficult period of your life. The first and most obvious place to begin your search for an effective criminal lawyer in Parramatta is to simply ask your friends and relatives for their recommendations. Depending on your social circle, you might not have many people who have dealt with police charges and it could be difficult to find a lawyer. However, if you know a friend or relative that faced police charges similar to yours and got a favourable outcome (such as a section 10 ruling) then you should definitely begin with them. It’s prudent to ask them about their experience working with the lawyer and if they felt listened to and supported throughout the process. The best criminal lawyers in Parramatta will be well versed in cases like yours and will be able to sympathize with you as well as give you a realistic picture of your situation without being alarmist. Obviously, a defence lawyer should be an ally to you and not show any personal bias about your innocence or guilt; they should only care about what is provable in court. Police charges are obviously incredibly varied and as such it’s unlikely that any single criminal lawyer in Parramatta will be an expert in everything. A lawyer who says that they specialise in all areas of criminal law needs to back up their claim with a great deal of experience and without that they are likely too good to be true. Most often, a lawyer will specialise in a few areas of the law that they have a great deal of expertise and experience in. This means that you should try to find a lawyer who specializes in the area of law pertaining to your charge. 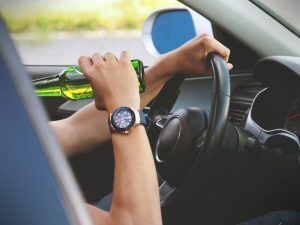 For example, if you a charged with drunk driving then you should engage a criminal lawyer in Parramatta who specializes in traffic offences. If you are charged with assault then you should engage someone who specializes in violence charges. It goes without saying that having a lawyer who specializes in type of charge you are facing will give you a better chance of success than someone who is less focused. In cases where your freedom and reputation are on the line, it’s much better to go with a specialist than a ‘jack of all trades’ type of lawyer. If you are still unsure of which criminal lawyer in Parramatta you want to engage, which is understandable considering what’s at stake, then you should go into the next phase of organizing face-to-face interviews with your top candidates. If you can’t meet in person, then a phone or video call will suffice. The interview is a great opportunity to build some initial rapport with the lawyer and get their general view on your case. Be cautious of a lawyer who promises you an ideal result right from the start as this is likely too good to be true. The lawyer should express confidence in their abilities and at least appear eager to help you. While being realistic with the predictions they make, they should still do their best to reassure you and help clear up any confusion you may have. So, when it comes to trying to find an ideal criminal lawyer in Parramatta the advice given in this article should set you on the right path. At the end of the day, choosing between the many criminal lawyers in Parramatta is going to come down to what your gut tells you and how realistic their initial advice is.